The following Booking Conditions form the basis of your Contract with Jetline Cruise. It is your responsibility to read them carefully as they set out our respective rights and obligations. In these Booking Conditions, “you” and “your” means all persons named on the booking (including anyone who is added or substituted at a later date). “We”, “us” and “our” means Jetline Cruise of 7b High Street, Barnet, EN5 5UE. We have sold you a package holiday and we hold an Air Travel Organiser’s Licence issued by the Civil Aviation Authority (ATOL number 6153). We have created a package where we act as principal and where a single receipt is issued to you for the total package price. Once your package holiday has been confirmed by us, we will accept responsibility for it in accordance with these Booking Conditions as a Tour Operator. The person making the booking will be deemed to be the party leader. The party leader must be at least 18 years of age and guarantees they have the authority to accept and do accept on behalf of your party the terms of these Booking Conditions by all persons named on the booking. The party leader is responsible for making all payments due to us. As soon as we receive all appropriate payments (see clause 3 below) we will confirm your holiday by issuing a confirmation which shall be by email unless no email address has been provided, in which case it will be sent to you by first class post, and a binding contract will come into existence between us. Please check your confirmation paperwork carefully as soon as you receive it. In particular, please check that all passenger names, titles and initials are correct and match the details in the corresponding passenger’s passport. Contact us immediately if any information on the confirmation or any other document appears to be incorrect or incomplete, as it may not be possible to make changes later. We regret we cannot accept any liability if we are not notified of any inaccuracy in any document within 7 days of receipt of your confirmation (5 days for tickets). When making your booking for your package holiday we will arrange for you to enter into a contract with the principal(s) or other supplier(s) (airline/cruise company/accommodation company) named on your confirmation(s) for whom we act as agent. As agent we accept no responsibility for the acts or omissions of the principal(s) or supplier(s) or for the services provided by them other than as set out in these Booking Conditions. The principal’s(s’) or supplier’s(s’) Terms & Conditions will apply to your booking and we advise you to read these carefully as they do contain important information about your booking. Your booking is governed by English Law, and the jurisdiction of the English Courts. You may however choose the law and jurisdiction of Scotland or Northern Ireland if you live there and wish to do so. 1. For flight-based holidays this is through our Air Travel Organiser’s Licence number 6153 issued by the Civil Aviation Authority, Gatwick Airport South, West Sussex, RH6 0YR, UK, telephone 0333 103 6350, email: claims @caa.co.uk. When you buy an ATOL protected flight or flight inclusive holiday from us you will receive an ATOL Certificate. This lists what is financially protected, where you can get information on what this means for you and who to contact if things go wrong. We will provide you with the services listed on the ATOL Certificate (or a suitable alternative). In some cases, where we aren’t able to do so for reasons of insolvency, an alternative ATOL holder may provide you with the services you have bought or a suitable alternative (at no extra cost to you). You agree to accept that in those circumstances the alternative ATOL holder will perform those obligations and you agree to pay any money outstanding to be paid by you under your contract to that alternative ATOL holder. However, you also agree that in some cases it will not be possible to appoint an alternative ATOL holder, in which case you will be entitled to make a claim under the ATOL scheme (or your credit card issuer where applicable). Prior to confirming your booking, we reserve the right to increase or decrease the prices of unsold arrangements at any time according to market fluctuations. We also reserve the right to make changes to and correct errors in advertised prices at any time before your arrangements are confirmed. The price of your chosen arrangements will be confirmed at the time of booking. Where you are paying a deposit only, you must pay a deposit of £150.00 per person for a land-based holiday plus the cost of the flight in full where such payment in full is required by the flight operator. If you have booked a cruise holiday, you must pay a minimum deposit of £250.00 per person which will be increased dependent upon the cruise line concerned to the full value of the deposit terms of the cruise line; plus, the cost of the flight in full where such payment in full is required by the flight operator. In addition, you must pay for any ancillary arrangements e.g. travel insurance, airport parking, etc., according to the booking terms of the relevant supplier. You will be advised of all deposit details, holiday costs and costs of any additional services in addition to any third-party supplier costs which are either payable in full and/or non-refundable and non-changeable prior to booking. The balance of the price of your travel arrangements must be paid as cleared funds no later than the due date shown on your confirmation invoice. However, with any element of your booking, a supplier may ask for full balance payment at an earlier time than the Jetline balance due date (e.g. scheduled airline tickets) and, if this occurs, we will give you as much notice as possible and you will be advised of this possibility prior to booking. The additional amount paid will form part of your non-refundable deposit. If you would prefer, you can look at alternative arrangements rather than make an earlier payment (on the proviso that no cancellation charges would apply) but this could incur extra overall costs. If any balance is not paid in full and on time, (including any surcharge where applicable), we shall cancel your travel arrangements and retain your deposit. A surcharge or refund (as applicable) will be payable, subject to the conditions set out in this clause, if transportation costs or dues, taxes or fees payable for services such as landing taxes or embarkation or disembarkation fees at ports or airports increase or decrease or our costs increase or decrease as a result of any adverse or favourable changes in the exchange rates which have been used to calculate the cost of your arrangements. However, there will be no change within 20 days of your departure. Price increases or decreases after booking will be passed on by way of a surcharge or refund. We will absorb, and you will not be charged for any increase equivalent to 2% of the price of your travel arrangements, which excludes insurance premiums and any amendment charges. You will be charged for the amount over and above that. If this means that you have to pay an increase of more than 8% of the price of your travel arrangements, you will have the option of accepting a change to another holiday if we are able to ofer one (we will refund any price diference if the alternative is of a lower value) or cancelling and receiving a full refund of all monies paid, except for any amendment charges. If you choose to accept a refund, we will also charge an administration charge of £10 per person. Should you decide to cancel you must do so within 14 days from the date on your final invoice. a. You or another member of your party; b. Or a third party unconnected with the provision of the travel services in the package and is unforeseeable or unavoidable; c. Or unavoidable and extraordinary circumstances, which means a situation beyond our control, the consequences of which could not have been avoided even if all reasonable measures had been taken. (ii) Please note, we cannot accept responsibility for any services which do not form part of our contract. This includes, for example, any additional services or facilities which your hotel or any other supplier agrees to provide for you where we have not agreed to arrange them and any excursion you purchase in resort and/or during your cruise. In addition, regardless of any wording used by us on our website, or elsewhere, we only promise to use reasonable skill and care as set out above and we do not have any greater or different liability to you. (iii) The promises we make to you about the services we have agreed to provide or arrange as part of our contract - and the laws and regulations of the country in which your claim or complaint occurred - will be used as the basis for deciding whether the services in question had been properly provided. If the particular services which gave rise to the claim or complaint complied with local laws and regulations applicable to those services at the time, the services will be treated as having been properly provided. This will be the case even if the services did not comply with the laws and regulations of the UK which would have applied had those services been provided in the UK. The exception to this is where the claim or complaint concerns the absence of a safety feature which might lead a reasonable holiday maker to refuse to take the holiday in question. (iv) As set out in these booking conditions we limit the maximum amount we may have to pay you for any claims you may make against us. For all other claims which do not involve death or personal injury, if we are found liable to you on any basis the maximum amount, we will have to pay you is three times the cost of your travel arrangements paid by or on behalf of the person(s) affected in total unless a lower limitation applies to your claim under clause (vii) below. This maximum amount will only be payable where everything has gone wrong and you have not received any benefit at all from your holiday. (v) Where any claim or part of a claim (including those involving death or personal injury) concerns or is based on any travel arrangements (including the process of getting on and/or off the transport concerned) provided by any air, sea, rail or road carrier or any stay in a hotel, the maximum amount of compensation we will have to pay you will be limited in accordance with and/ or in an identical manner to (a) The contractual terms of the companies that provide the transportation for your travel arrangements (these terms are incorporated into this contract; and (b) any relevant international convention, for example the Warsaw Convention as amended or un-amended and the Montreal Convention for international travel by air and/or for airlines with an operating licence granted by an EU country, the EC Regulation on Air Carrier Liability No 889/2002 for national and international travel by air, the Athens Convention in respect of travel by sea, EU Regulation No 1177/2010 on the rights of passengers travelling by sea and inland water ways, EC Regulation No 392/2009 on the liability of carriers of passengers by sea in the event of accidents, the Berne Convention in respect of travel by rail and the Paris Convention in respect of the provision of accommodation, which limit the amount of compensation that you can claim for death, injury, delay to passengers and loss, damage and delay to luggage. The most we will have to pay you for that claim or that part of a claim if we are found liable to you on any basis is the most the carrier, cruise line or hotel keeper concerned would have to pay under the international convention or regulation which applies to the travel arrangements or hotel stay in question. We are to be regarded as having all benefit of any limitation of the extent of or the conditions under which compensation is to be paid under these or any conventions. Please note: Where a carrier, cruise line or hotel would not be obliged to make any payment to you under the applicable International Convention or Regulation detailed above in respect of a claim or part of a claim, we similarly are not obliged to make a payment to you for that claim or part of the claim. Copies of the applicable International Conventions and Regulations are available from us on request. Please note: When making any payment, we are entitled to deduct any money which you have received or are entitled to receive from the transport provider or hotelier for the complaint or claim in question. (vi) Please note, we cannot accept any liability for any damage, loss, expense or other sum(s) of any description (1) which on the basis of the information given to us by you concerning your booking prior to our accepting it, we could not have foreseen you would suffer or incur if we breached our contract with you or (2) which did not result from any breach of contract or other fault by ourselves or our employees or, where we are responsible for them, our suppliers. Additionally, we cannot accept liability for any business losses. (vii) You must provide ourselves and our insurers with all assistance we may reasonably require. If asked to do so, you must transfer to us or our insurers any rights you have against the supplier or whoever else is responsible for your claim or complaint (if the person concerned is under 18, their parent or guardian must do so). You must also agree to cooperate fully with us and our insurers if we or our insurers want to enforce any rights which are transferred. (viii) If you or any member of your party suffers illness, injury or death, through misadventure, as a result of an activity that does not form part of your contracted holiday arrangements, we will provide you with all reasonable assistance, in particular by providing information on health services, local authorities and consular assistance; and helping you to find alternative arrangements any necessary phone calls/emails You must pay any costs we incur, if the difficulty is your fault. If you are entitled to have any costs and expenses arising from such an incident or met by or from any insurance policy or if you obtain a costs order against anyone in relation to the incident, you must repay to us the costs and expenses we spend in assisting you. (ix) Under EU law you have rights in some circumstances to refunds and/or compensation from your airline in cases of denied boarding, cancellation or delay to flights. Full details of these rights will be publicized at EU airports and will also be available from airlines. However, reimbursement in such cases is the responsibility of the airline and will not automatically entitle you to a refund of your holiday cost from us. Your right to a refund and/or compensation from us is set out in clause 7. If any payments to you are due from us, any payment made to you by the airline will be deducted. (x) If it is impossible to ensure your return as scheduled due to unavoidable and extraordinary circumstances, we will bear the cost of necessary accommodation, if possible, of equivalent category, for a maximum of three nights. The limit doesn’t apply to personal with reduced mobility and any person accompanying them, pregnant women and unaccompanied minors, or persons in need of specific medical assistance, provided that you notified us of these needs at least 48 hours before the start of your holiday. Please note: this entire clause 4 does not apply to any separate contracts that you may enter into for excursions or activities whilst on holiday. If, after your booking has been confirmed, you wish to change your travel arrangements in any way, for example your chosen departure date or accommodation, we will endeavour to assist but it may not always be possible to make the changes. Any request for changes must be in writing from the person who made the booking. You will be asked to pay an administration charge of £30.00 per person per change, plus any further costs incurred we incur in making this alteration, together with all costs or charges imposed by any suppliers. You should be aware that these costs generally increase significantly the closer to the departure date that changes are made, and you should contact us as soon as possible. Please note that most airlines do not permit name changes for any reason after confirmation. If you wish to make a name change, this will be treated as a cancellation and re-booking. You will have to forfeit the amount you have already paid for your flight and pay the full, current cost of the flight again. Your ability to rebook will be subject to a seat being available for a new reservation. Note: Certain travel arrangements (e.g. instant purchase tickets and scheduled airline tickets) may not be changeable or refundable in any circumstances after a reservation has been made (which will be notified to you prior to booking) and any alteration request could incur a cancellation charge of 100% of that part of the arrangements. You can transfer you booking to another person, who satisfies all the conditions that apply to this booking, by giving us notice in writing as soon as possible and no later than 7 days before departure. Both you and the new traveller are responsible for paying all costs we incur in making the transfer. Notification sent to us by email will only be accepted if sent from the email address originally provided by the person who made the booking. If your travel arrangements include (a) element/s that are non-refundable in the event of cancellation, e.g. flights from a flight supplier that operates a no refund policy or (b) have been purchased from a third-party voucher company for whom we act as a fulfilment agent, including (but not exclusively) Groupon, Wowcher, etc. then the cancellation charge for (a) these element/s or (b) the voucher cost, will be 100%. Apart from non-refundable elements, cancellation charges will be applied at the rates shown below, unless the suppliers’ cancellation terms are different, in which case the suppliers’ cancellation terms will apply. NB where the cancellation charge is shown as a percentage, this is calculated on the basis of the total cost payable by the person(s) cancelling excluding insurance premiums and amendment charges. Insurance premiums and amendment charges are not refundable in the event of cancellation. You can cancel your booking with paying cancellation charges if the performance of your package, or the carriage of passengers to your destination, is significantly affected by unavoidable and extraordinary circumstances. In such circumstances, we will arrange for you booking to be terminated and for you to receive a full refund . We will observe advice provided by the UK Foreign & Commonwealth Office. Please note: If the reason for your cancellation is covered under the terms of your Insurance policy, you may be able to reclaim these charges. Whilst we always endeavour to avoid changes and cancellations, we must reserve the right to do so. Flight times given at the time of booking are for general guidance only and are subject to change. The latest flight times will be those shown when your check-in prior to departure. We advise you to reconfirm your outbound journey with your airline (in accordance with the airline reconfirmation deadline) at least 48 hours prior to departure should there be a late flight change. We are not liable if there is any change to a departure or arrival time previously given to you or shown on your ticket. Please note that a flight described as “direct” will not necessarily be non-stop. Where a sector of a flight itinerary is not utilised without contacting the carrier directly, any remaining sectors may be subject to cancellation without further notification. Where this situation arises, we are unable to accept responsibility for any costs incurred. Whilst we take responsibility for your booking as your Tour Operator, we have no control over changes as a result of unavoidable and extraordinary circumstances as defined below. If the change is insignificant, we will ensure that you are notified about it. Examples of insignificant changes include alteration of your outward/return flights by less than 12 hours, changes to aircraft type change of accommodation to another of the same or higher standard, changes of carriers. • Change of outward departure time resulting in the overall lenght of time you are away being reduced by 24 hours or more.T his does not include airport delays on the day of departure. * NB We will advise you of any major building work outside your accommodation but nearby, if we are aware of it. We cannot be responsible for any general building or maintenance work in your resort that we do not know about, and we will not pay compensation should you encounter such work. If we have to make a significant change or cancel, we will pay you the compensation set out below subject to the following exceptions. We will not cancel less than 14 weeks before your departure date, except for unavoidable and extraordinary circumstances, or failure by you to pay the final balance, or because the minimum number required for the package to go ahead hasn’t been reached. Unavoidable and extraordinary circumstances mean a situation beyond our control, the consequences of which could not have been avoided even if all reasonable measures had been taken. The minimum number required will be provided to you with the holiday description, along with the time limit for us to tell you if the package has to be cancelled. 2. Purchase alternative arrangements from us, of a similar standard to those originally booked if available. If the alternative is less expensive than the original arrangements, we will refund the difference. The following Booking Conditions form the basis of your Contract with Jetline Cruise. It is your responsibility to read them carefully as they set out our respective rights and obligations. In these Booking Conditions, “you” and “your” means all persons named on the booking (including anyone who is added or substituted at a later date). “We”, “us” and “our” means Bargain Late Holidays of 7b High Street, Barnet, EN5 5UE, trading as Jetline Cruise. a) Accommodation or Cruise only. This is where you are departing from the U.K. or where you have made your own flight or other travel arrangements without our assistance. b) Package holidays where all the elements of that package holiday have been put together by a disclosed Tour Operator other than us. c) Flights, accommodation or any other services which have been purchased separately from different disclosed suppliers at your request, which would be a Linked Travel Arrangement (LTA), or if purchased at the same time, a Multiple Contract Package. For all such bookings your contract will be with the disclosed Tour Operator or Supplier/s as applicable. The Tour Operator/s own terms and conditions of booking will apply to (b) above; and each of the supplier/s own terms and conditions of booking will apply to each element of (c) above. Copies of these terms and conditions can be found on the Tour Operators or Suppliers own websites or are available from us on request. The person making the booking will be deemed to be the party leader. The party leader must be at least 18 years of age and guarantees they have the authority to accept and do accept on behalf of your party the terms these Booking Conditions by all persons named on the booking. The party leader is responsible for making all payments due to us. As soon as we receive all appropriate payments (see clause 3 below) and we have received confirmation from your Suppliers/Tour Operator/s, we will confirm your holiday by issuing a confirmation and a binding contract will come into existence between you and your Suppliers/Tour Operator/s. Please check your confirmation paperwork carefully as soon as you receive it. In particular, please check that all passenger names, titles and initials are correct and match the details in the corresponding passenger’s passport. Contact us immediately if any information on the confirmation or any other document appears to be incorrect or incomplete, as it may not be possible to make changes later. We regret we cannot accept any liability if we are not notified of any inaccuracy in any document within 7 days of receipt of your confirmation (5 days for tickets). As we act only as Agent, we will have no responsibility for any errors in any documentation except where those errors were made by us. Any acceptance of such responsibility will also be subject to the time limits set out in this clause for notifying us of any inaccuracy. Book with Confidence. We are a Member of ABTA which means you have the benefit of ABTA’s assistance and Code of Conduct. All the package holidays we sell are covered by a scheme protecting your money if the supplier fails. Other services such as hotels or flights on their own may not be protected and you should ask us what protection is available. Package holidays are protected by the package organiser and we will provide you with their confirmation. When you buy an ATOL protected fight or flight inclusive holiday from us you will receive an ATOL Certificate. This lists what is financially protected, where you can get information on what this means for you and who to contact if things go wrong. If after selecting and paying for one travel service, you book additional travel services for your trip or holiday via our company, you will NOT benefit from rights applying to packages under the Package Travel and Linked Travel Arrangements Regulations 2018. Therefore, we will not be responsible for the proper performance of the individual travel services. In case of problems, please contact the relevant service provider. However, if you book any additional travel services during the same visit to or contact with our company, the travel services will become part of a linked travel arrangement. In that case we have, as required by the Package Travel and Linked Travel Arrangements Regulations 2018, protection in place to refund your payments to us for services not performed because of us insolvency. Please note that this does not provide a refund in the event of the insolvency of the relevant service provider. A copy of the Package Travel and Linked Travel Arrangements Regulations 2018 can be found at: http://www.legislation.gov.uk/uksi/2018/634/contents/made. Prior to your confirmed booking we reserve the right to increase or decrease the prices of unsold arrangements at any time according to market fluctuations. We also reserve the right to make changes to and correct errors in advertised prices at any time before your arrangements are confirmed. The price of your chosen arrangements will be confirmed at the time of booking. When you make your booking, unless payment in full is due, you must pay the amount required by your Tour Operator or Supplier/s. In addition, you must pay for any ancillary arrangements, e.g. travel insurance, airport parking, etc., according to the booking terms of the relevant supplier. The balance of the price of your travel arrangements must be paid as cleared funds no later than the due date shown on your confirmation invoice. If the balance is not paid in full and on time (including any surcharge where applicable), we shall cancel your travel arrangements and retain your deposit. As we act only as agent for the Supplier/s or Tour Operator concerned, we reserve the right to pass on to you in full all additional costs and charges of whatever nature imposed by the Supplier/s or Tour Operator in accordance with their own terms and conditions. Travel Insurance (where purchased through us) does not form part of your contract with us or of any “package”. We are able to refund any insurance premiums you have paid to us if this is within 14 days of purchase if you deem the policy to be unsuitable for your needs. In the event of an amendment to your holiday, you may be able to transfer your policy on the purchase of a different holiday of similar duration and zone (e.g. Europe). In respect of your booking we act only as an Agent for the Tour Operator or Supplier/s concerned (as applicable). Your contract for your package holiday, accommodation or other services is directly with the Tour Operator or Supplier/s concerned. We accept no liability in relation to the package holiday, accommodation or other services or for the acts or omissions of the Tour Operator or Supplier/s concerned (as applicable). The terms and conditions of the Tour Operator or Supplier/s will apply to your contract. However, in the event that we are found liable on any basis whatsoever, our maximum liability to you if we are found to have been at fault in relation to any service we arrange as Agent for the Tour Operator or Supplier concerned is limited to three times the cost of the booking in question. We do not exclude or limit any liability for death or personal injury which arises as a result of our negligence or that of our employees whilst acting in the course of their employment. If, after your booking has been confirmed, you wish to change your travel arrangements in any way, for example your chosen departure date or accommodation, we will endeavour to assist but it may not always be possible to make the changes. Any request for changes must be in writing from the person who made the booking. You will be asked to pay an administration charge of £30.00 per person per change, plus any further costs incurred in making this alteration, together with all costs or charges imposed by any of your suppliers or Tour Operator. You should be aware that these costs generally increase significantly the closer to the departure date that changes are made. Please note that most airlines do not permit name changes for any reason after confirmation. If you wish to make a name change, this will be treated as a cancellation and re-booking. You will have to forfeit the amount you have already paid for your flight and pay the full, current cost of the flight again. Your ability to rebook will be subject to a seat being available for a new reservation. Note: Certain travel arrangements (e.g. scheduled air fares) may not be changeable in any circumstances after a reservation has been made and any alteration request could incur a cancellation charge of 100% of that part of the arrangements. You, or any member of your party, may cancel your travel arrangements at any time. Written notification from the person who made the booking must be received at our offices. NB where the cancellation charge is shown as a percentage, this is calculated on the basis of the total cost payable by the person(s) cancelling excluding insurance premiums and amendment charges. Insurance premiums and amendment charges are not refundable in the event of cancellation. As we act as Agent, you will have to pay cancellation charges according to your Tour Operator or supplier/s terms and conditions. 7. 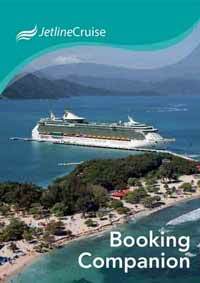 If the Tour Operator, or Accommodation or Cruise Supplier changes or cancels your booking. If there is a change or cancellation to your booking, we will pass on the new details to you together with any compensation that the Tour Operator, or Accommodation or Cruise Supplier may offer. As agent only for the Supplier/s we cannot accept any liability for any changes or cancellations made to these bookings. N.B. If you do not consent to us passing this information to the relevant suppliers, whether in the EEA or not, we will be unable to provide your travel arrangements. In making this booking, we do so on the basis that we have your positive consent to your information being passed to relevant persons. Credit & Debit Card Details: When you make a booking, your initial payment is cleared using the information you provide. If your call is being recorded, no credit card information will be retained, and your credit card number is not held in our database. All encryption is performed using at least 128 bits making it virtually impossible to decrypt without the necessary decryption key. For online bookings, all credit card information and personal information is encrypted as it is passed between your browser and our website. Except where otherwise expressly stated in these booking conditions, we regret we cannot accept liability or pay any compensation where the performance or prompt performance of our contractual obligations or those of any Tour Operator or Accommodation Supplier for whom we act as an Agent is prevented or affected by, or you otherwise suffer any damage or loss (as more fully described in clause 8(i) below) as a result of unavoidable and extraordinary circumstances. In these Booking Conditions, “unavoidable and extraordinary circumstances” means a situation or event beyond our control, the consequences of which could not have been avoided even if all reasonable measures had been taken. Such events may include war or threat of war, riot, civil strife, actual or threatened terrorist activity, industrial dispute, natural or nuclear disaster, adverse weather conditions, fire earthquake, volcanic eruption and all similar events outside our control. If you or any of your party suffer any illness or have a problem during your holiday emanating from your holiday accommodation, and which may interfere with or interrupt your stay, you are obliged to inform the relevant supplier (e.g. your hotelier) and the resort representative immediately, and they will assist you. You must complete a report form in resort (if available). (Logging a complaint in resort is a condition of our Booking Conditions where we act as your Tour Operator, and is also a condition of your Supplier’s Booking Conditions where we are acting as your Agent). If your complaint is not resolved locally, please contact us immediately on the customer services telephone number on your confirmation invoice. Should it not be possible to solve the problem in resort, please follow this up within 28 days of your return home by writing to our Customer Services Department giving your booking reference and all other relevant information. Please keep your letter concise and to the point. This will assist us to quickly identify your concerns and speed up our response to you. If you fail to follow this simple procedure, we, or your Tour Operator or supplier where we act as an Agent, will have been deprived of the opportunity to investigate and rectify your complaint whilst you were in resort and this may affect your rights under this contract. Any assistance provided in resolving a complaint where we act as an Agent is provided by us on a goodwill basis. We are a Member of ABTA, membership number J1693. We are obliged to maintain a high standard of service to you by ABTA’s Code of Conduct. We can also offer you ABTA’s scheme for the resolution of disputes which is approved by the Chartered Trading Standards Institute. If we can’t resolve your complaint, go to www.abta.com to use ABTA’s simple procedure. Further information on the Code and ABTA’s assistance in resolving disputes can be found on www.abta.com. Arbitration can be used to settle alleged breaches of contract and/or negligence between consumers and ABTA Members. If your claim includes an element of minor illness or personal injury, then this can also be considered by the arbitrator but is limited to £1,500 per person. The ABTA conciliation scheme is for disputes related to personal injury and sickness. It is a process through which a neutral third party, the Conciliator, seeks to help both sides to a dispute come to a mutually satisfactory settlement by negotiation and compromise but is limited to £10,000 per booking. You can also access the European Commission Online Dispute Resolution (ODR) platform at http://ec.europa.eu/consumers/odr/. This ODR platform is a means of notifying us of your complaint; it will not determine how your complaint should be resolved. NB. If you have made a booking where we act as an Agent, your contract is with the accommodation supplier or Tour Operator concerned (as applicable). It may not be possible for disputes arising out of or in connection with these contracts to be referred to arbitration under the scheme mentioned above, and you will need to refer to the booking conditions of the Operator or Supplier concerned. The passport, visa and health requirements applicable to British citizens for the holidays we offer are subject to change or variation by the authorities and Countries involved. You must check the up-to-date position of these requirements in good time before departure. As a guideline, a full British passport presently takes approximately 4-6 weeks to obtain. If you or any member of your party, including children and infants, does not have a current passport with at least six months to run, our recommendation is that you should apply for one at least 6 weeks before your holiday. The UK Passport Service has to confirm your identity before issuing your first passport and may ask you to attend an interview in order to do this. Information on health is contained in the Department of Health leaflet T6 (Health Advice for Travellers) available from your local Department of Health office and most Post Offices. For European holidays you should obtain a completed and issued European Health Insurance Card (EHIC). Information on the EHIC is available at www.dh.gov.uk or from your local Department of Health office. It is the party leader’s responsibility to ensure that all members of the party are in possession of all necessary travel and health documents before departure. All costs incurred in obtaining such documentation must be paid by you. We regret we cannot accept any liability if you or any member of your party are refused entry onto any transport or into any country due to failure on your part to carry correct documentation. If you or any member of your party is not a British citizen or holds a non-British citizens passport, you must check passport and visa requirements with the Embassy or Consulate of the country(ies) to or through which you are intending to travel. If failure to have any necessary travel or other documents results to fines, surcharges or other financial penalty being imposed on us, you will be responsible for reimbursing us accordingly. For the latest travel advice from the Foreign and Commonwealth Office please go to www.gov.uk/foreign-travel-advice or www.gov.uk/ travelaware. N.B. If your itinerary includes a cruise, please note that your Cruise Line’s requirements may differ from those advised by the consulate of the country in question. Please check with your Cruise Line in this regard. You must have adequate Travel Insurance when travelling. You must let us know the name of your Insurance provider. Please read your policy details carefully and take them with you on holiday. It is your responsibility to ensure that the insurance cover you purchase is suitable and adequate for your particular needs, but in all cases should cover unavoidable and extraordinary circumstances. Should your Insurance not cover you for unavoidable and extraordinary circumstances, we will not be responsible for any financial losses you may incur due to such events preventing your travel. We can refuse to accept you as a customer or continue dealing with you if your behaviour is disruptive and affects other holidaymakers, employees or third parties. If we do this, we will not be responsible for any additional costs that you have to pay. If you are prevented from travelling because in the opinion of any person in authority you appear to be disruptive, we will have no further liability to complete your holiday arrangements and will not be liable for any refund or compensation. When you book with or through us, you accept responsibility for any damage or loss caused by you or any member of your party. Full payment for any such damage or loss must be paid direct at the time to the airline, accommodation owner or manager or other supplier in question. If you fail to do so, you will be responsible for meeting any claims subsequently made against us (together with our own and the other party’s full legal costs) as a result of your actions. When speaking to any member of our staff we operate a zero tolerance to abusive language and behaviour. Any telephone call where such behaviour is experienced will be immediately terminated by the member of staff concerned. Any further communication will be required to be made in writing. The flight timings given on booking are for general guidance only and are subject to change. The latest timings will be shown on your confirmation invoice. You must accordingly check your flight times prior to travel to ensure that you have up-to-date information. It is possible that flight times may be changed even after you have printed your e-ticket and if we are made aware of such a change, we will contact you as soon as possible. In any event, you must reconfirm your flight times 48 hours prior to departure for all flights. Please note that a flight described as “direct” will not necessarily be non-stop. Where a sector of a flight itinerary is not utilised without contacting the carrier directly, any remaining sectors may be subject to cancellation without further notification. Where this situation arises we are unable to accept responsibility for any costs incurred. We are not always in a position to confirm the airline, aircraft type and airport of destination which will be used in connection with any flight included in your arrangements. When this information is provided at the time of booking or subsequently, it is still subject to change. Any such change will not entitle you to cancel or change to other arrangements without paying our normal charges. In accordance with the Air Navigation Orders, in order to qualify for infant status, a child must be under two years of age on the date of their return flight. For ecological reasons, the majority or Airlines, Tour Operators, Cruise Operators and other Suppliers no longer issue paper tickets by post. Also, some flight operators and cruise lines will Jetline Cruise is a trading name of Jetline Travel Limited, Jetline House, 7B High Street, High Barnet, London, EN5 5UE. require you to provide pre-departure information on-line. For this reason you will be asked for an email address where your documentation can be sent as an attachment, and where you can print your e-tickets, accommodation vouchers, or other service vouchers as appropriate, and receive any important information from your supplier. We regret we cannot accept any conditional bookings, i.e. any booking which is specified to be conditional on the fulfilment of a particular request. All such bookings will be treated as “standard” bookings subject to the above provisions on special requests. If you or any member of your party has any medical problem or disability which may affect your arrangements, please tell us before you confirm your booking so that we can advise as to the suitability of the chosen arrangements. In any event, you must give us full details at the time of booking. If we or the supplier of the service in question reasonably feel unable to properly accommodate the particular needs of the person concerned, we must reserve the right to decline their reservation or, if full details are not given at the time of booking, cancel when we become aware of these details. Resort fees are subject to change and variation over which we have no control. These cannot be pre-paid and must be paid locally, and may be required as a cash payment. Resort Fees and Taxes are not included in your holiday price. In all circumstances, star ratings for all accommodation featured, are determined by the Tour Operator or by the Accommodation Supplier, whichever is applicable. No ratings for properties are determined by Jetline Cruise. References to EU law and EU legislation includes all UK implementing legislation as amended from time to time. This shall include any succeeding UK legislation, as amended from time to time, following the UK ceasing to be a member state of the European Union. We cannot accept any liability in the event that your travel arrangements cannot be performed following the UK’s exit from the European Union as a result of, the loss of, a change to or the imposition of a new requirement for any licence or consent required by any of the travel service providers to perform the agreement. In such circumstances the cost of your travel arrangements will be refunded in full, but you will not be eligible to receive any compensation.